The battle against leukemia is not easy. 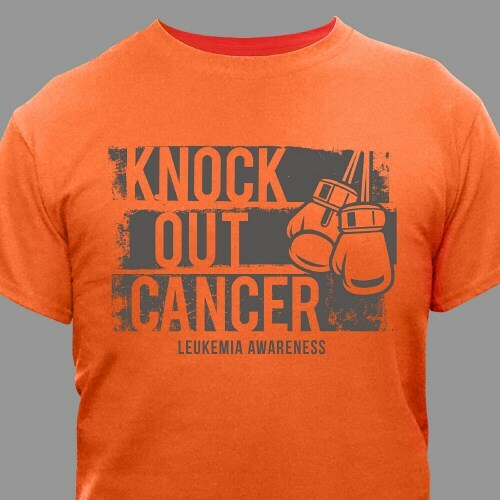 Help inspire others to band together and fight for a cure by giving them our knock out cancer t-shirt. At your next leukemia awareness event, this shirt will inspire strength and show your support for this worthy, important cause. Our leukemia awareness design is available on our premium 100% cotton t-shirt, machine washable in youth sizes XS-L and adult sizes S-3XL.